Keeping an organized home just makes life so much easier! So many stores have some great organizing products, but carry a hefty price tag. Do you really want to pay fifty dollars for some drawer organizer no one but you sees, I know I don’t! Luckily, I compiled a list of the best home organizing products from Amazon on a budget!!! No need to break the bank to declutter and organize your house! 1. 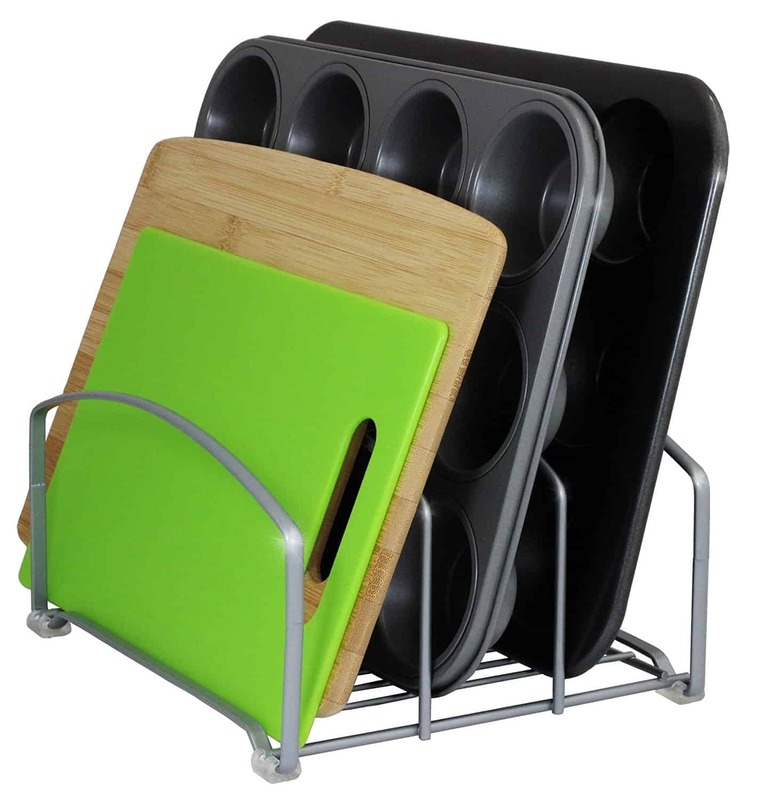 Kitchenware Organizer: Perfect to organize all your cookie sheets, muffin pans, and cutting boards. Such a space saver too! 2. 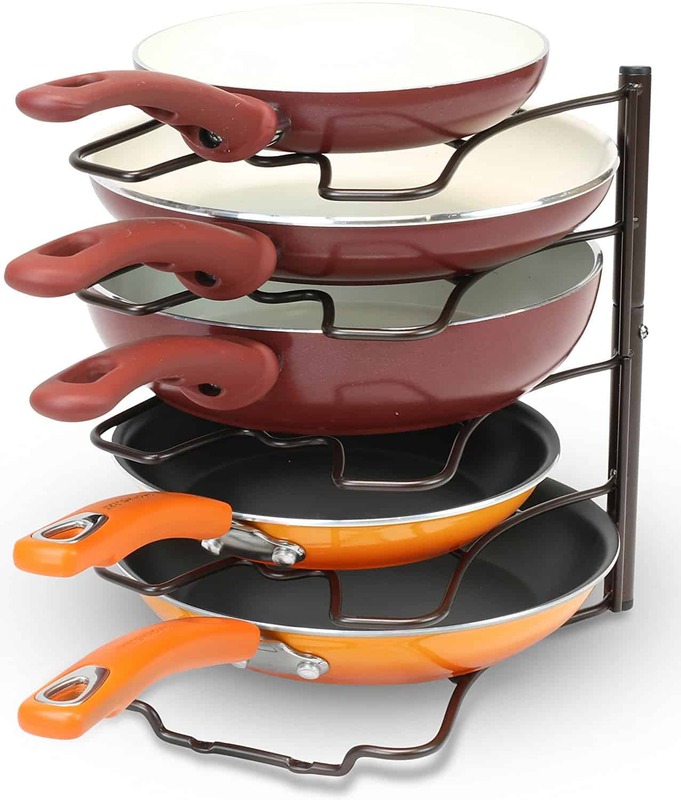 Pan Organizer: Save so much cabinet space by using this clever organizer. You can use either vertically or horizontally, whichever fits your cabinet better. 3. Storage Wrap Organizer: Keep all your storage wrap organized and out of the way with this cool organizer. It is really easy to hang as well! 4. Mop and Broom Holder: So nifty, this little holder will hold all you mops and brooms in place. As an added bonus there are hooks to hang you rags. 5. 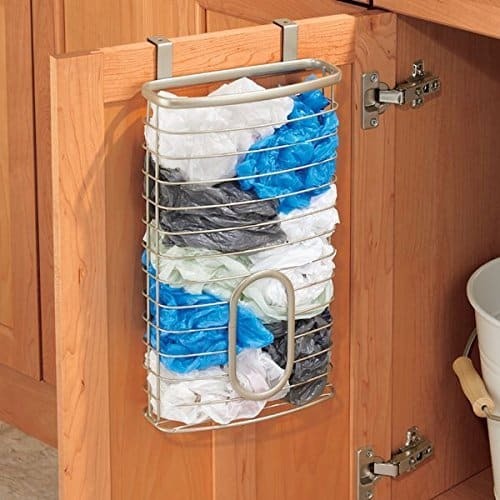 Plastic & Garbage Bag Holder: This handy holder fits perfectly over the cabinet and can hold up to fifty bags. 6. 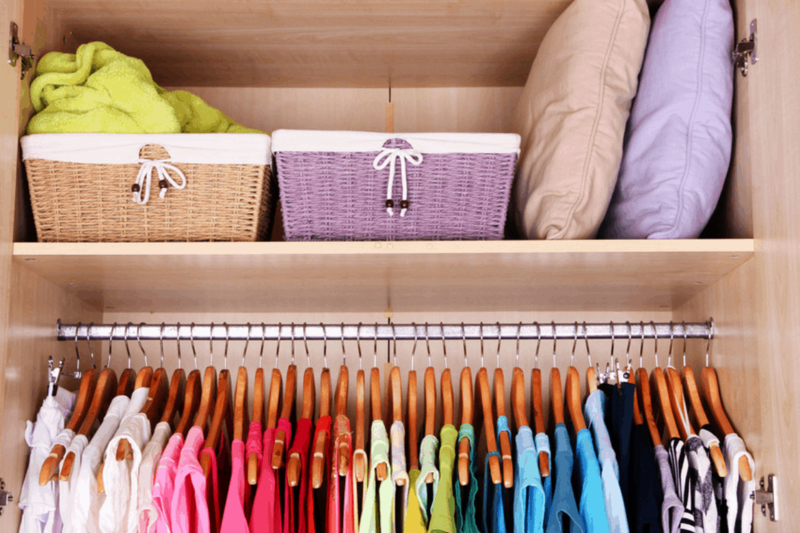 Closet Doubler Rack: Need more closet space? 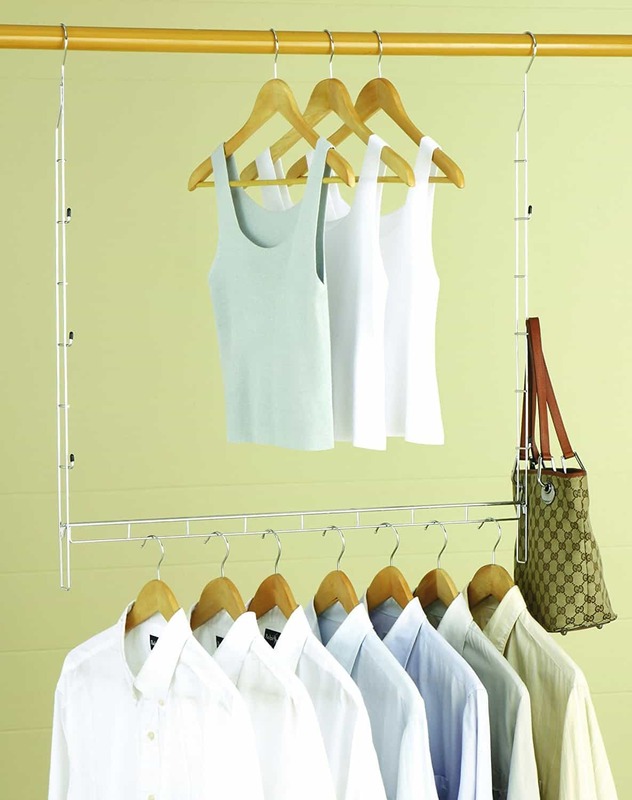 This is the easiest and most cost effective way to double your closet space and give you another bar to hang your clothes on. 7. 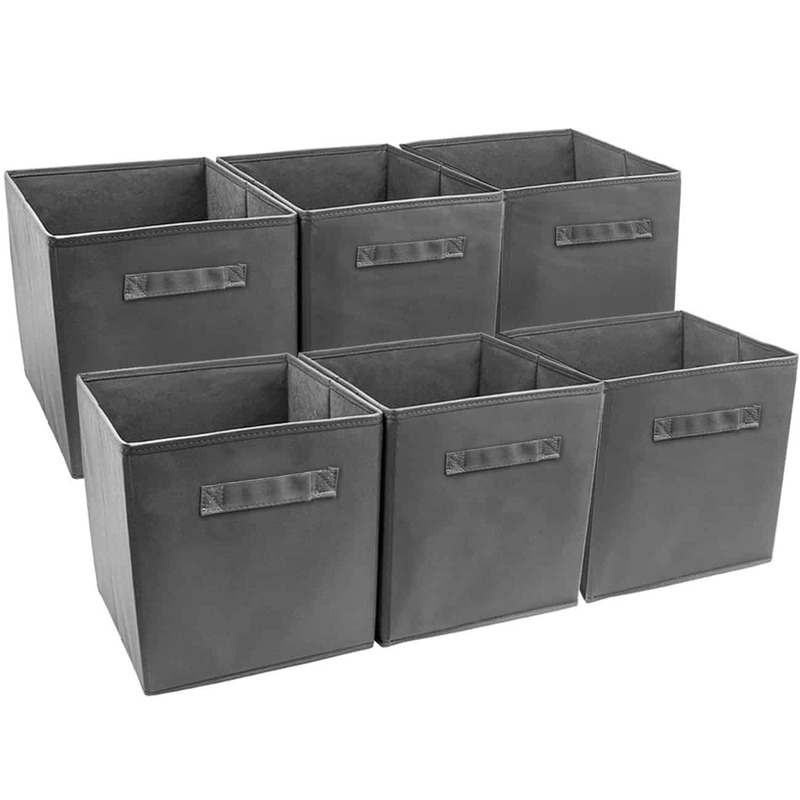 Foldable Storage Cubes: These cubes are very versatile for organizing just about anything in your house. They are collapsible, so if you aren’t using them they will save space. These come in a pack of six and in thirteen different colors! 8. Drawer Organizer for Bras & Underwear: These divider organizers are the best solution to organize your bras and undies and come in three colors. 9. 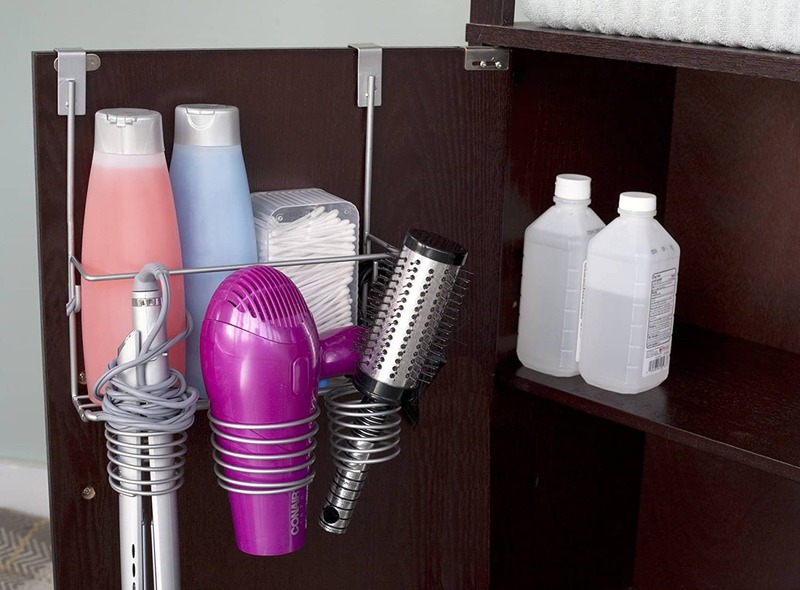 Hair Styling Tools Holder: Free up some bathroom counter spacing by storing all your hair styling tools in this awesome over the cabinet organizer. 10. 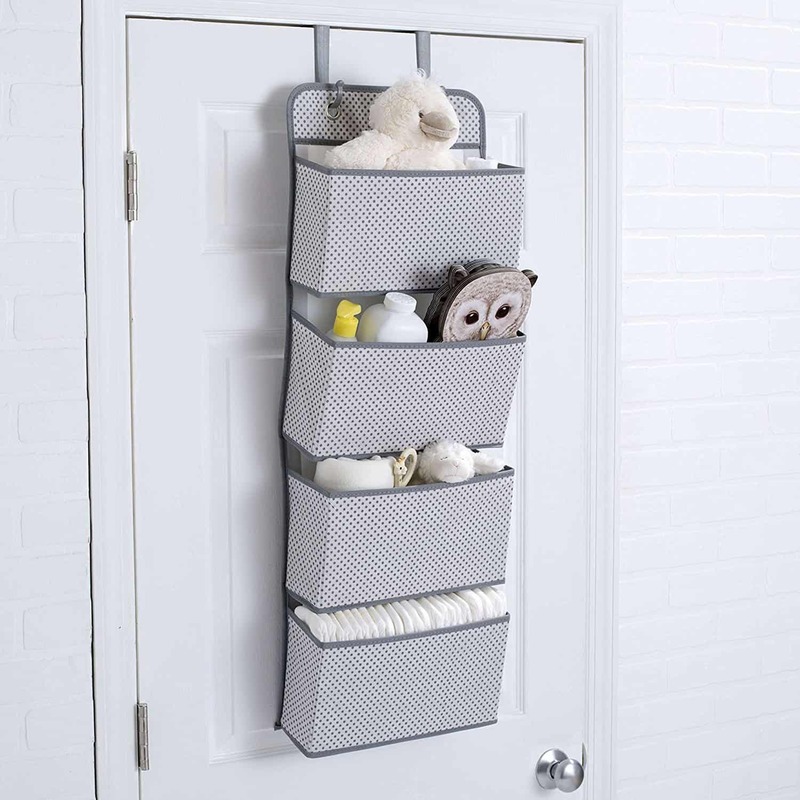 Hanging Wall Organizer: This is described as a child’s organizer, but really you could use this to organize any small items. 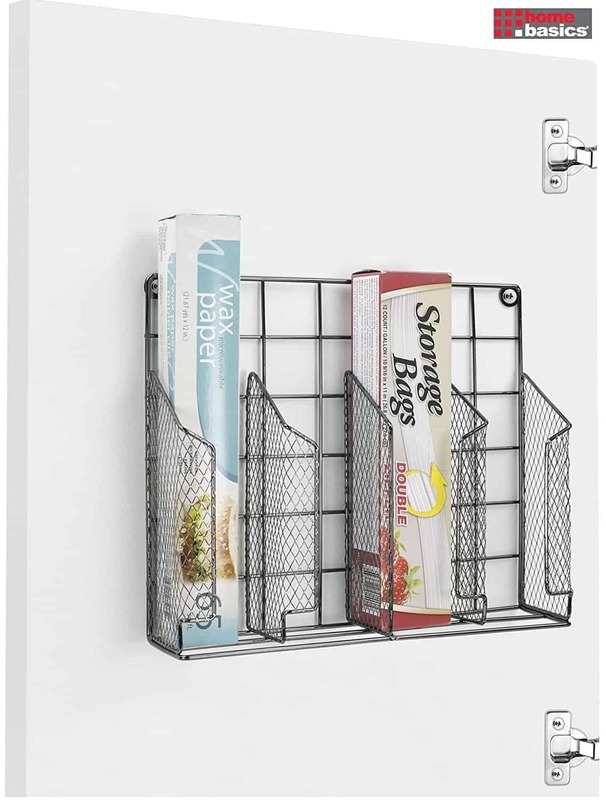 One reviewer used this organizer on the door of her pantry to store chips and snacks, very clever! Hope you enjoyed these cheap home organization ideas from Amazon! Take my 30 Day Organizing Challenge to help organize your entire house!! !